Events Ensemble specialises in the conceptualisation, co-ordination and facilitation of events. We work on sports events, incentives in connection with sports events, sponsor programmes and special interest tours, conferences and meetings. And because some things just work better together – or 'ensemble' as the French say - we also assist with full project management as well as ground support staff for incentives and conferences and weddings. 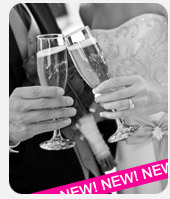 Introducing a new service for brides and grooms! We have seen a trend lately where brides and grooms want to arrange their own weddings, which is wonderful! Events Ensemble offers an "On site wedding assistance" service to ensure that all the planning that the bride and groom have put in place is perfectly executed on their wedding day – but is something they don't have to think about! We create an action plan which we run through with the bride and groom and any other necessary parties to ensure that no detail is missed. We arrive at the venue early in the day to ensure set up is as it should be and that all service providers are playing their part! We make sure the dinner service at restaurant or venue is swift, that the washrooms have sufficient soap and toilet paper. We make sure wedding gifts are safely delivered to your home/ hotel. Basically – we make sure the bride and groom can focus on each other while we focus on making sure the wedding day, ceremony and celebration runs smoothly! Africa is opening up to the world! Most of Western and some of Central Africa have French as their main language. If you have a delegation traveling to a Francophone country and would like assistance with basic logistics, we at Events Ensemble are able to assist. In the same way if your business partners or colleagues from abroad are traveling to South Africa, we can assist you in welcoming them to South Africa in their mother tongue and with all logistics of their trip.